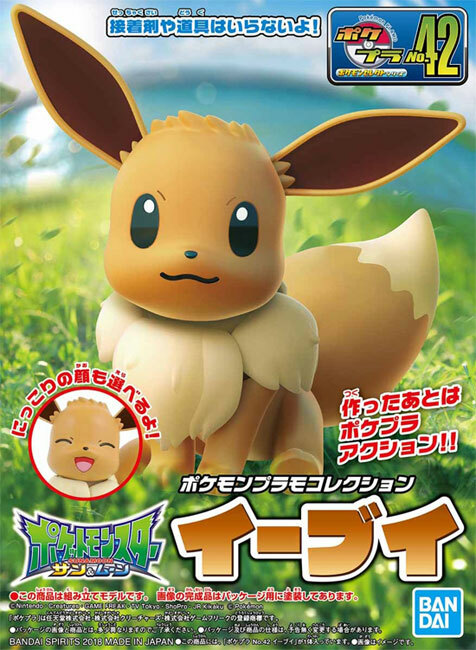 Bandai Pokémon Plastic Model collection number 42 is Eevee!! 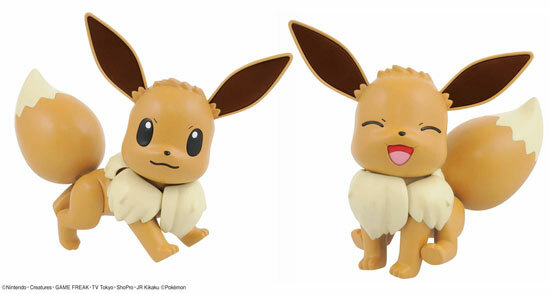 Eevee would come with 2 expression of laughing with eye close and happy look. The tail, head, limbs and ears are articulated to some degree. 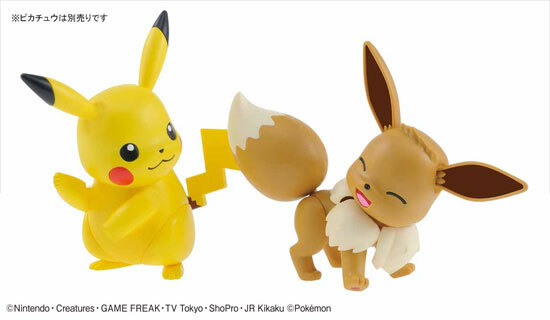 Here is Eevee with the Pikachu Model kit together! This kit will be releasing in December 2018 at 760 Yen!! 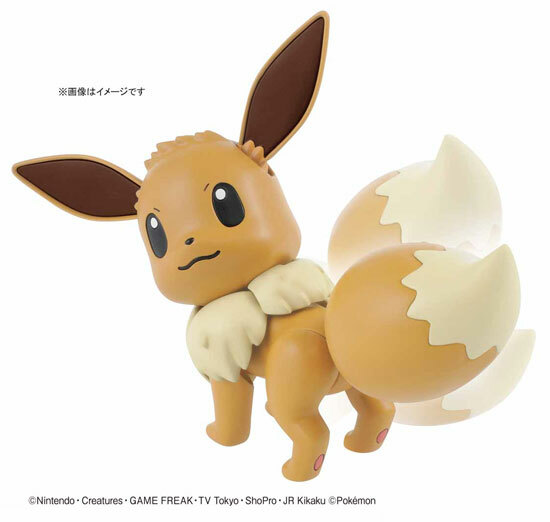 Look out for it Eevee lovers!